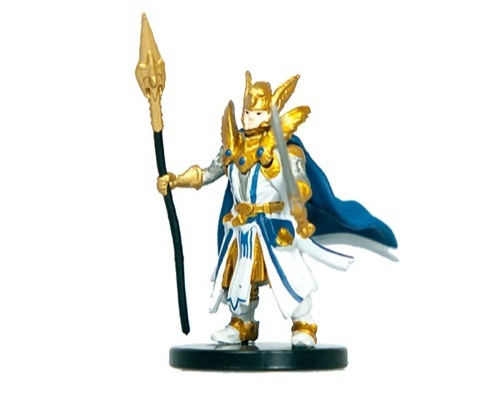 The whites, blues, and golds are typical paladin attire. The spear is a little bendy but not too much. Overall I'm satisfied with this figure. His brightness definitely helps him stand out in a crowd. Bendy spear plus less paint steps plus inhuman face. The spear is so bendy it´s ridiculous. The eyes are just points. The impressive shown outfit is missing a few blue ,ines and not as colorful. Sign in to start a discussion about Pathfinder Battles—Dungeons Deep: Paladin of Abadar!